Another fantastic on Lake Rotoiti for Maitahi Outrigger Canoe Club as we held out annual regatta "Tune e Hoe Ana". Paddling at altitude (650m above sea level) is a novelty. The fresh water is delightfully cold at this time of the year when we haven't seen rain for 6 weeks. 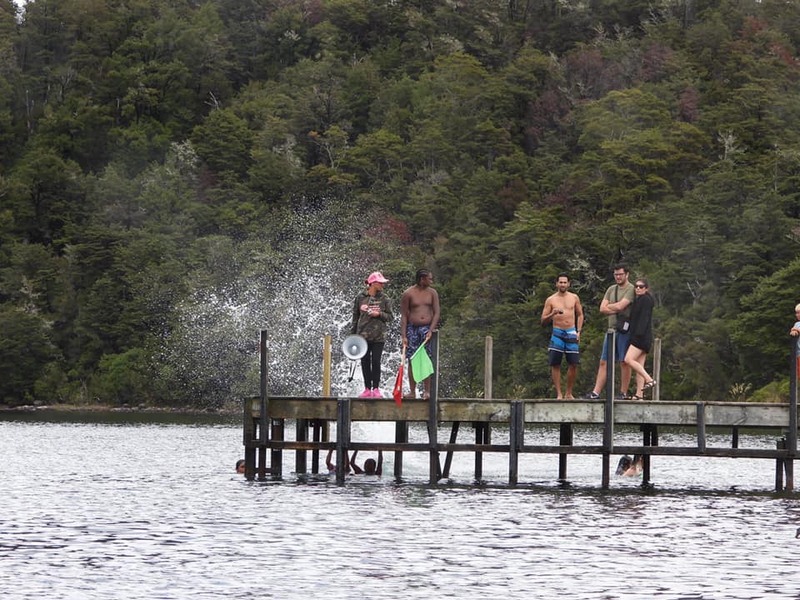 The tuna (eels) are large, but that didn't stop the rangatahi doing bombs from off the wharf. Paddlers came from all over the South Island and some even came from down from Auckland. The paddlers ranged from 8 to 80 years old. We came through smoke with fires raging in Tasman and some left to attend to family when a fire broke out in Nelson city itself. It was great to see so many rangatahi crews on the water in singles, doubles and W6s. 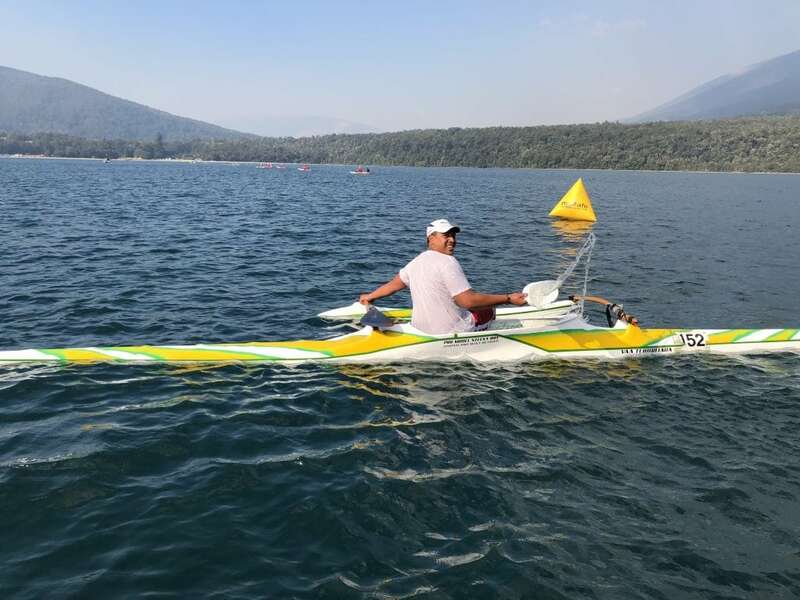 This year for the first time we had Masters 70 paddlers in the V1 and OC2 categories. Our support boat driver took some great photos and videos. There were a few exciting moments. A V1 turned out to less stable than expected and one W6 mixed crew were so enthusiastic at the start they took off without their steerer. She swam after them trying to catch up. We hope to see you all up there next year. Some fantastic racing over the weekend by all! I would like to thank our main sponsors Ngāti Apa ki te Rā Tō Kiley Nepia. Every year you open our Event with a beautiful karakia for which I’m extremely grateful of. It’s great hearing all the myths, legends and history of the area. A HUGE MIHI to our support boat drivers Jason Hulena and Ashley Webb, TDC Harbour Master thank you for all your time on the water keeping our paddlers safe! Our medic Karen from Triple One Care. 270 Hardy Street AMAZING food as always!!! To our lakes committee and club members...wow!!! What a weekend! You all pulled it off fantastically. All the hours of hard work behind the scenes, at the lake and the hall. Without you all we just wouldn’t be able to do it. THANK YOU. The teams that traveled from afar and entered, Motueka Waka ama, Waitaha, Kaingaru, Te Waka Pounamu, Onetahua and Waikawa Waka ama, thank you for supporting our event. It is so great to see the kotahitanga and manaakitanga of everyone coming together. See you all again next year at Tuna e Hoe Ana!!!! Anisha Huntley Maitahi rocks awesome club so supportive and hospitable awesome job to you all that get in and make it a great couple of days. Great to see you are bringing the rangatahi through and new paddlers. Appreciated by us all from the Waikawa waka ama whanau.